Why do we often witness tragedy and senseless deaths during the second half of April? The list of violent events that occurred during this time period is simply staggering. April 18, 2013 – Fertilizer plant explosion, Texas – 5-15 killed (Notice that this event occurred almost exactly 20 years after the Waco Massacre, which is in the same area. Also, on April 16, 1947, a ship loaded with ammonium nitrate docked at the Port of Texas City and erupted in flames, causing a massive explosion that killed approximately 576 people). There were many other violent occurrences that happened during that time period. 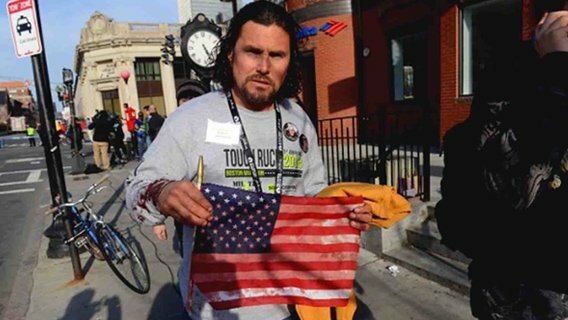 In fact, CNN published an article in 2011 titled What is it about mid-April and violence in America?, discussing the events that occur in Mid-April. Sadly, the article only bashed “conspiracy theorists” and basically said “If you look for answers further than mass media, you are crazy and potentially dangerous”. However, two years later, the violent trend continues. Is it all a coincidence? For those in the know, there are no such thing as coincidences. In 2011, I wrote an article about the death of Bin Laden, announced between April 30th and May 1st (see Why the Death of the Man Who Was Not Behind 9/11 Was Announced on May 1st). In that article, I briefly described the ritualistic significance of May 1st (May Day) and its relation to a god that is still important for to the occult elite: Baal. Throughout many centuries and across many civilizations, the second half of April has always been a time of blood sacrifice. 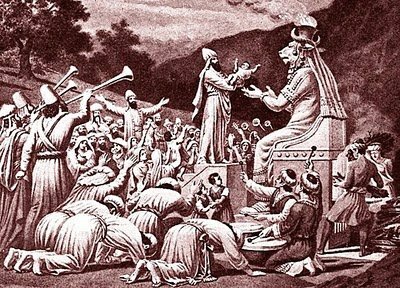 The worship of Baal took many names (Enlil, Molech, etc.) and spread across several civilizations. Being a sun god and a god of fertility, rituals celebrating Baal took place after the vernal equinox (a time of rebirth) and often involved human sacrifice. Although the observance of these rituals was sometimes condemned by religious movements, it never truly disappeared. From the Babylonian, Assyrian and Phoenician civilizations of the Middle-East (their Mystery religions come from the same point origin), the cult of Baal spread to distant civilizations, such as the Celts, who observed Beltane rituals on May 1st (Beltane originates from the word “Baal”). While the observance of Baal rituals differed from one civilization to another, they were nevertheless grounded in the same occult concepts of numerology and sacrifice. In other words, they were all tapping into the same magickal knowledge. Today’s occult elite still observes these rites, but with one major difference: They are now carried out on unsuspecting civilians and spread across the world through mass media. Fed and amplified by the fear and trauma of the masses, these mega-rituals are seen by all, but only celebrated by the occult elite. More than ever, we are dealing with Black Magick. Other sites dedicated to occult numerology have published information emphasizing the importance of this time period. Another article briefly describes the elements required to carry out the elite’s mega-rituals. Of course, not every event that occurs during that time period is related to Illuminati human sacrifice. However, most of the events mentioned above fit right in the mega-ritual “criteria” checklists. If you look carefully at the facts surrounding each one of these events, you might conclude that they were either carried out by government officials or blamed on mind-controlled patsies. Most of these events are absurdly gratuitous, generating even more trauma and causing people to wonder “what kind of evil people would do such a thing?” Unfortunately, these evil people rule us, and the same events are then used to further extremist political agendas. The powers that be have become masters at combining pragmatic politics with occult rituals. Those who know about occult calendars enter the second half of April wondering if something horrific is about to happen. Sadly, every few years, it does, and the public is traumatized with a senseless and violent event. Almost every time, a closer look at the event leads to strange and suspicious facts, and, more often than not, hints towards an inside job. While many will ascribe the occurrence of these events during the end of April to coincidence, the fact remains: Mass violent events involving death and fire happen regularly during the same time period that is occultly dedicated to Baal, who is worshipped through fire and human sacrifice. Whether this is all done on purpose or just the result of some crazy universal synchronicity, the fact is still there and cannot be disputed. Incidentally, the compound that was burned down in the 1993 Waco Massacre was named Mount Carmel Center. In the Bible, Mount Carmel was where Elijah defied the prophets of Baal, challenging them to pray to Baal until he lit a fire in front of them. No fire was lit. Was the fire at Mount Carmel Center a symbolic revenge of Baal?